Flat in Pere Garau. ¡coqueto piso con terraza y parking! Penthouse Carrer arquebisbe aspareg. Bonito ático con 70 m2 terraza. The best listing of homes in the district of Pere Garau is on habitaclia.com. 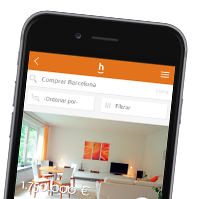 habitaclia.com property portal offers you the most complete classification of homes of the district of Pere Garau.